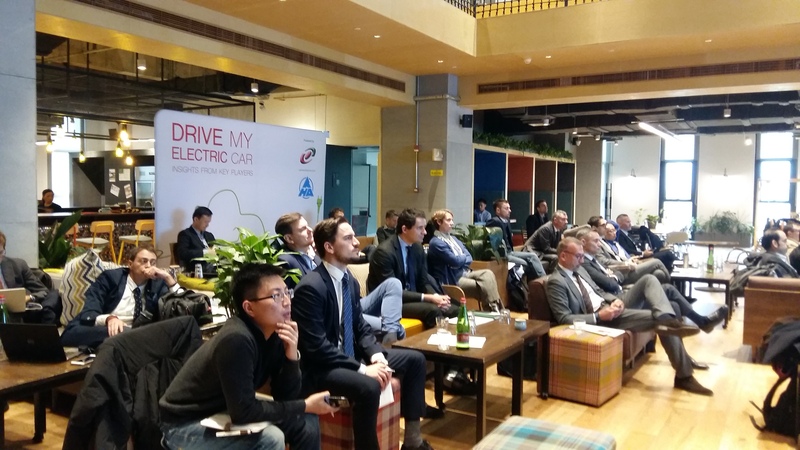 The "Drive My Electric Car" Seminar, organized by Mechanical Engineering Working Group of the CICC and sponsored by Hai'an Ecological Park, took place on November 21st. 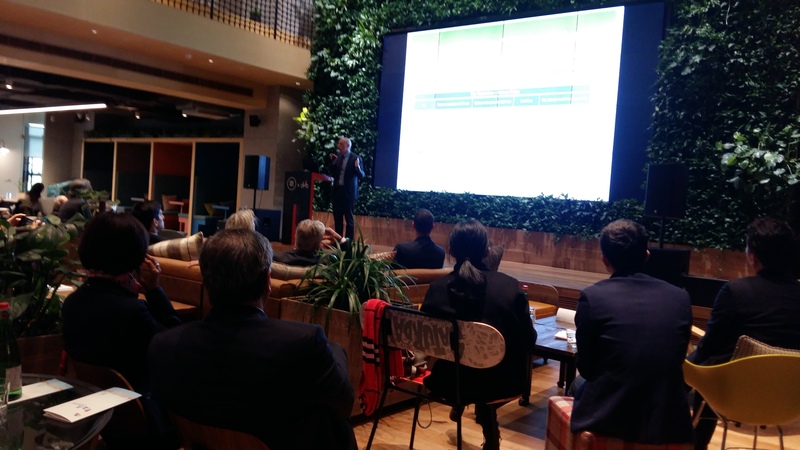 The event focused on technologies, investments and case histories of one of the most vibrant topic of the Automotive market, the electric car, and represented a great chance for the participants to explore opportunities and risks in this new innovative market. 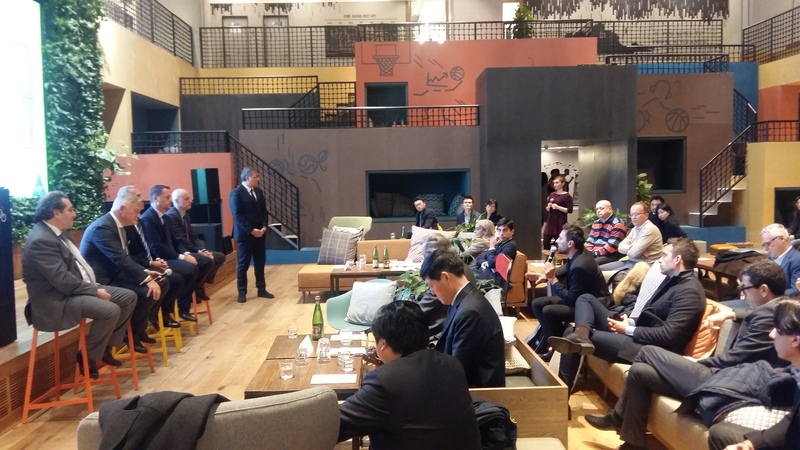 The welcome greeting and introduction speech held by the Italian General Consul in Shanghai, Stefano Beltrame, underlined the Italian leading position in the technological field. 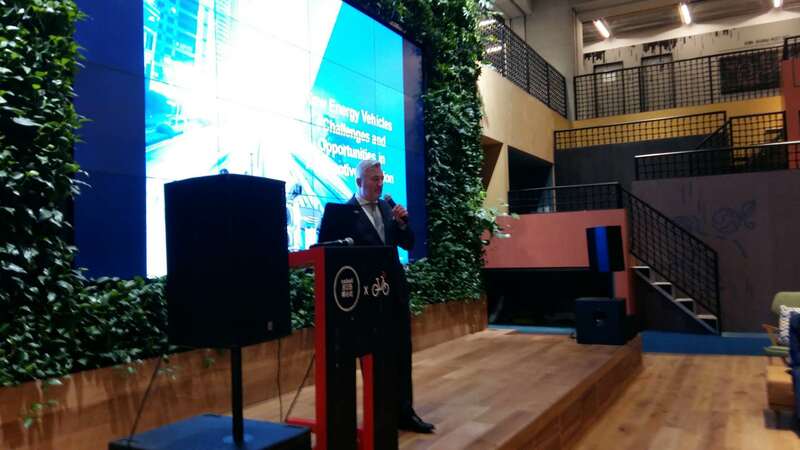 Successively, Antonio Farese, coordinator of the Mechanical Engineering Group, introduced the seminar speakers who paly a prominent position in the electric vehicles sector. 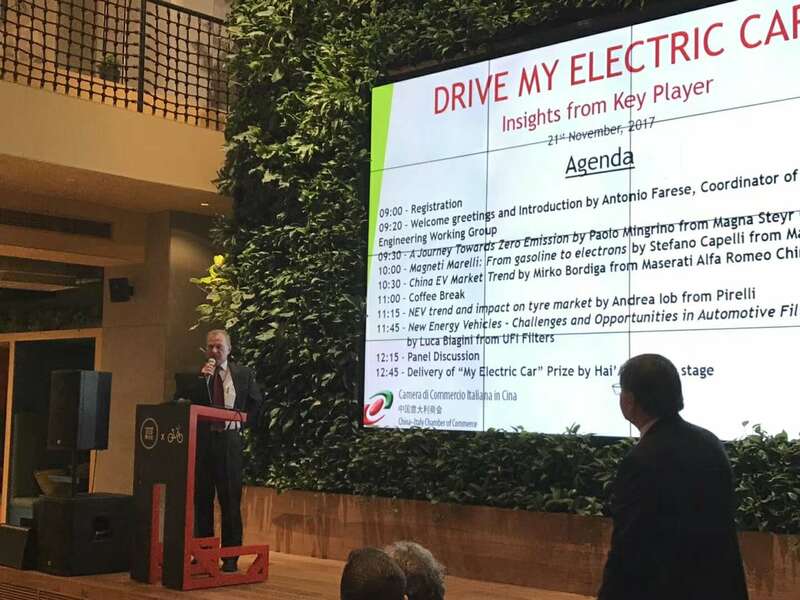 Paolo Mingrino,Vehicle Performance Manger at Magna Styr China held the first speech entitled "A Journey Towards Zero Emission" introducing the core topic of the seminar. Then, Stefano Capelli Product Development Manager at Magneti Marelli China talked about how the electric car could be a potential alternative to the traditional diesel car. 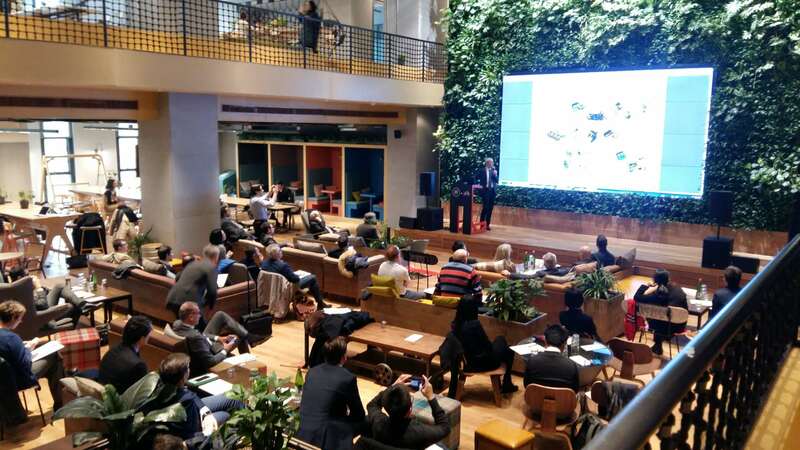 A further perspective has been provided by Mirko Bordiga, General Manager at Maserati Alfa Romeo China who, focusing on a more market-oriented point of view, highlighted the opportunities within the Chinese EV Market concerning the electric car phenomenon. 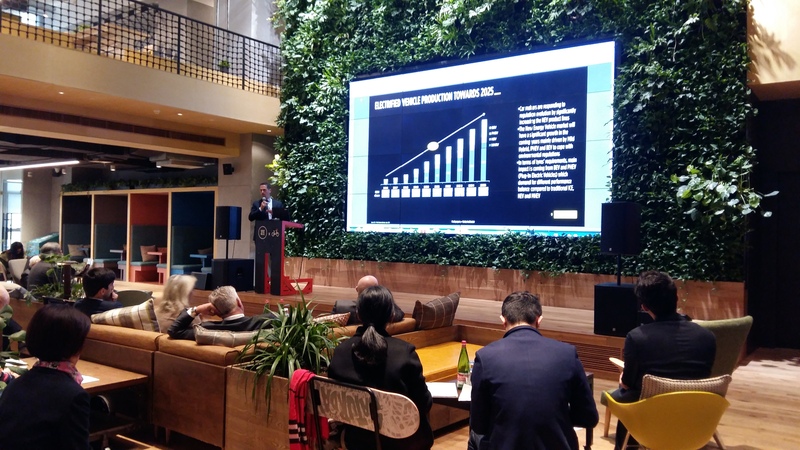 After a coffee break, Andrea Iob, OE Sales Director APAC China at Pirelli took the stage to offer an additional technical point of view about the topic, talking about the new trend and impact on tyre market. 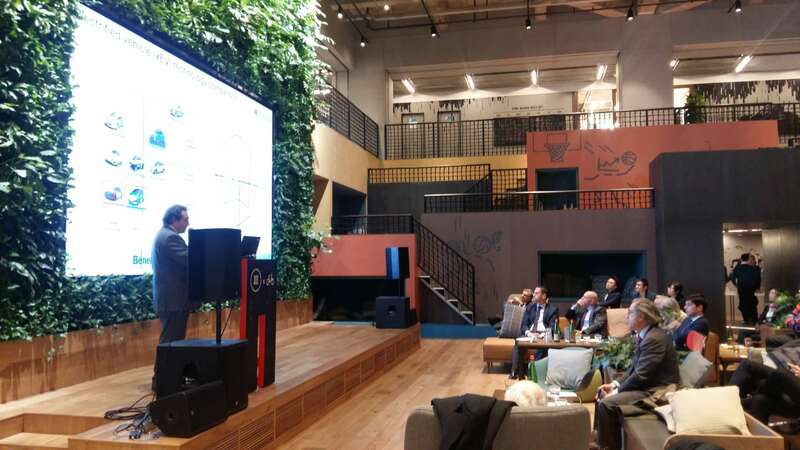 The last speech held by Luca Biagini, APAC COO at UFI Filters, aimed to explain the main challenges and opportunities in the automotive filtration field. Then, during the Panel Discussion the participants had the opportunity to interact with the speakers asking them questions in order to have clarifications and provide personal points of view on the topic. 任永峰, sponsor of the event. See you Next Edition in 2018!